Going Back to College? Criminal Stigma in Higher Education Admissions in Northeastern U.S.
Access to education is a constant theme in discussions germane to correctional reform, particularly to reduce rule breaking while incarcerated and re-offending after release from prison. Focusing on the latter, we examine the extent to which education is accessible for individuals who have felonious non-violent records in the United States (US). We generated a stratified random sample of 85 institutions of higher education (IHE) in the northeastern US and analyzed emails from admission departments in response to inquiries about how a felony record would affect admissions decisions. Results from multivariate models indicate that the institution type (public vs. private) significantly predicts how an IHE would use an individual’s criminal history in admissions decisions. Public IHEs are less likely to consider criminal history when reviewing an individual’s application and IHEs with higher proportions of minority students are associated with reduced consideration of an applicant’s criminal history in admissions decisions. Kolesnikova, N. (2009). Community colleges: A route of upward economic mobility. St. Louis, MO: Federal Reserve Bank of St. Louis. Retrieved October 20, 2018 from https://www.stlouisfed.org/~/media/files/pdfs/community-development/research-reports/communitycolleges.pdf?la=en. Mangan, K. (2015). Do your students have criminal records? Is it even fair to ask? The Chronicle of Higher Education. Retrieved August 8, 2018 from https://www.chronicle.com/article/Do-Your-Students-Have-Criminal/190517. National Center for Education Statistics. (2002). Adult literacy in America. Washington, DC: US Department of Education, Office of Educational Research and Improvement. Retrieved March 15, 2018 from https://nces.ed.gov/pubs93/93275.pdf. New York City Department of Correction. (2007). Inmate handbook. New York: New York City Department of Correction. Retrieved March 15, 2018 from https://www1.nyc.gov/assets/doc/downloads/pdf/inmate_hand_book_english.pdf. Rosenthal, A., NaPier, E., Warth, P., & Weissman, M. (2015). Boxed out: Criminal history screening and college application attrition. New York: Center for Community Alternatives. Retrieved August 3, 2018 from http://communityalternatives.org/pdf/publications/BoxedOut_FullReport.pdf. Top Universities. [Web log post]. (2018). 10 of the oldest universities in the U.S. Retrieved February 2, 2019 from https://www.topuniversities.com/blog/10-oldest-universities-us. United States Department of Education. (2019). College scorecard data. Retrieved February 2, 2019 from https://catalog.data.gov/dataset/college-scorecard. Weissman, M., Rosenthal, A., Warth, P., Wolf, E., & Messina-Yauchzy, M. (2010). 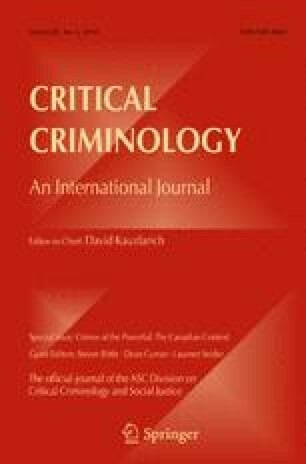 Reconsidered: The use of criminal history records in college admissions. New York: Center for Community Alternatives. Retrieved March 31, 2018 from http://www.communityalternatives.org/pdf/Reconsidered-criminal-hist-recs-in-college-admissions.pdf.